Advancements in technology and connectivity are simultaneously improving the quality and efficiency of healthcare. One of the most powerful factors in the rapid evolution of healthcare IT has been the development of 4G LTE networks. Reliable, dedicated wireless connectivity enables thousands of new technologies and applications to help medical care providers drive greater efficiencies and improve patient outcomes. Druid’s dedicated networks ensure a guaranteed quality of service for voice, messaging and data in mission critical hospital environments, where dropped calls & undelivered messages can cost lives. 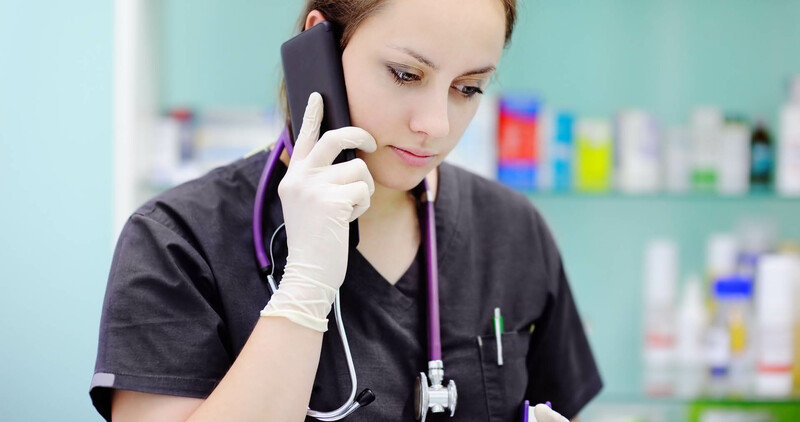 Enabling the use of a broad spectrum of cellular devices, we integrate with the latest nurse call technologies and remove the need for ageing paging systems. Doctors and nurses are naturally nomadic in their work. Our networks ensure that they are contactable right across the hospital campus. We ensure every call and message is delivered and we capture this traffic on our tailored reporting applications, so there are clear audit trails. With our highly secure, dedicated IoT networks caregivers now have the ability to access real time information through their private cloud which enables them to make informed decisions as well as offer treatment that is evidence based. This ensures health care provision is timely and treatment outcomes are improved. The latest advancements of 4G for IoT in healthcare will bring even greater benefits, with CAT-M providing support for 500+ low powered IoT devices per 4G Access Point. With 4G NB-IoT supporting 100k+ low powered IoT devices per 4G Access Point.leo. By easily integrating the latest nurse call alarms and location based technologies through our REST API, we turn the mobile phone into a pager, location device and reporting tool. With our SMSC we can optimise the private network for messaging which is essential in the delivery of critical messages and alarms. Druids’ dedicated voice, message & data networks provide 100% accurate information for care audit trails and analysis. Improving patient care and outcomes. Druid’s dedicated networks are deployed in many care homes, care villages and assisted living environments. Enabling the use of a broad spectrum of cellular devices, we integrate with the latest nurse call technologies and remove the need for ageing paging systems. With some of the latest panic alarm devices we have pioneered the ability for residents to roam from our dedicated private networks in the care facility to the public networks, when they go on an outing. This gives residents and caregivers peace of mind that they can contact or track the location of any patient that might be in distress when on or off site.